A common complaint among people who have had an Ethernet network up and running for a while is that it's slow – perhaps even slower than a WiFi connection running in the same space. Very often, the problem isn’t the network equipment at all; it’s simply the cabling, which is being asked to perform at speeds that it was never designed to handle. Old Cat5 (or even older Cat3) cables aren’t going to be able to deliver the reliable data transmission at speeds over 100 MHz that we’re now accustomed to. Just replacing your old cables with newer Cat5e ones can make a major difference in your LAN’s performance. If you’re setting up a new network, you should resist the temptation to reuse the old cables you have stored in a box somewhere, for the same reason. There’s a good chance that all the money you’re pouring into the network won’t seem like a good investment, if you’re using outdated cables which will be overwhelmed by the data flow. Here’s the good news: for right around the cost of a postage stamp, you could be using a modern Cat5e patch cable instead. 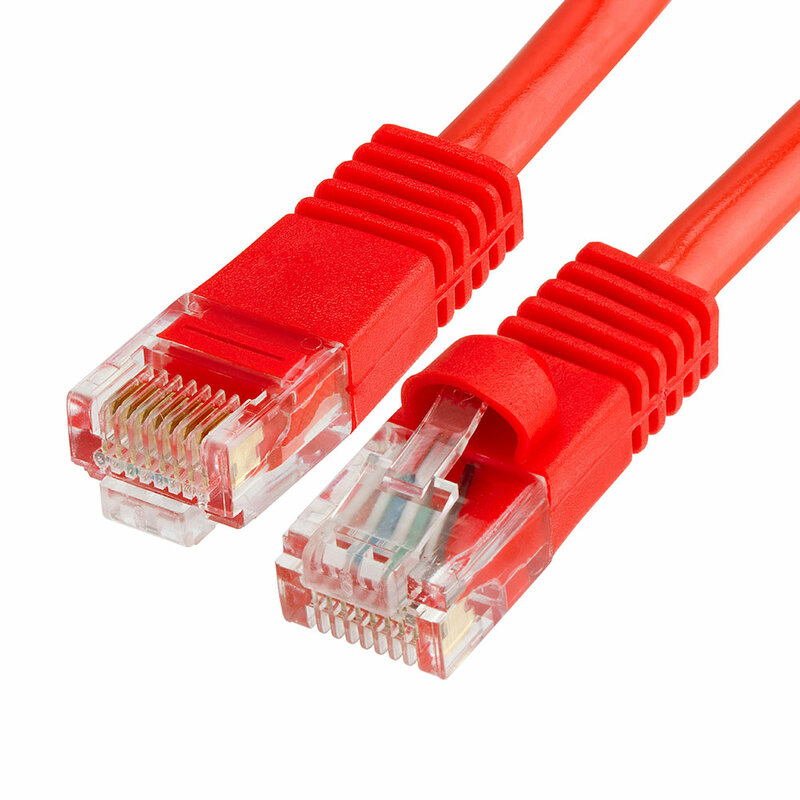 At 7 feet in length, our Cmple Ethernet LAN cables are the perfect size to use either in patch panels or to make direct connections between computers and network devices situated next to each other. They’re made from high-quality stranded pairs of wire which can handle data transfer speeds up to 350 MHz; these unshielded twisted pairs are designed to preserve the integrity of your data even at high speeds. And because they’re rated Category 5e, they provide impressive protection against electrical and radio interference as well as cross-talk. 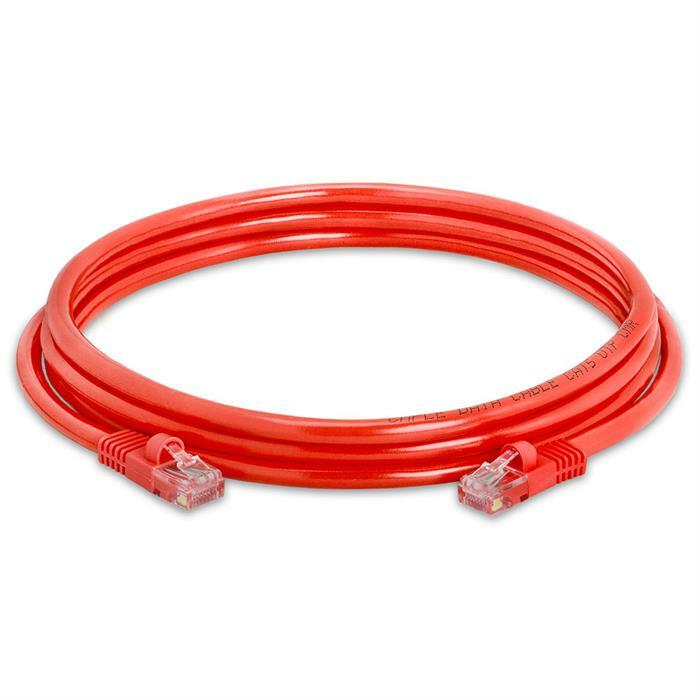 The Cmple Cat5e Ethernet cables are constructed from copper clad aluminum (CCA) stranded 568B wire wrapped in a durable PVC jacket, and terminate in nearly-universal RJ45 plugs on both ends. The cabling is built with special molded strain relief properties, so that no amount of normal pulling, twisting or pushing will break the connectors or the cable. Of course, since this is a Cmple product, you should expect nothing less. If you’re located in an area where there’s an inordinate amount of cross-talk or other types of interference, or want to buy cabling which will be ready for network demands which are currently only experienced in major corporations or data centers (for example, 10 gigabit networking over long throws), you might want to consider Cat6 cables instead of their Cat5e counterparts (and we sell both at Cmple). However, for just about every application short of a high-tech company’s internal networking, Cat5e will perform perfectly now, and for many years to come. Before you resort to expensive system upgrades or a switch to WiFi for your network operation, why not try upgrading your cables first?